Early this year, this restaurant celebrated its 8th birthday. During this time, it has established itself in the market as not only a very good restaurant, but also as a meeting place for business people Tricity artists alike, as well as guests from all over Poland. The menu is inspired by the changing seasons, ensuring the diversity and uniqueness of the sensory experience. The dishes’ secret lies primarily in the use of the highest quality of products, along with bread and pies made from original recipes. 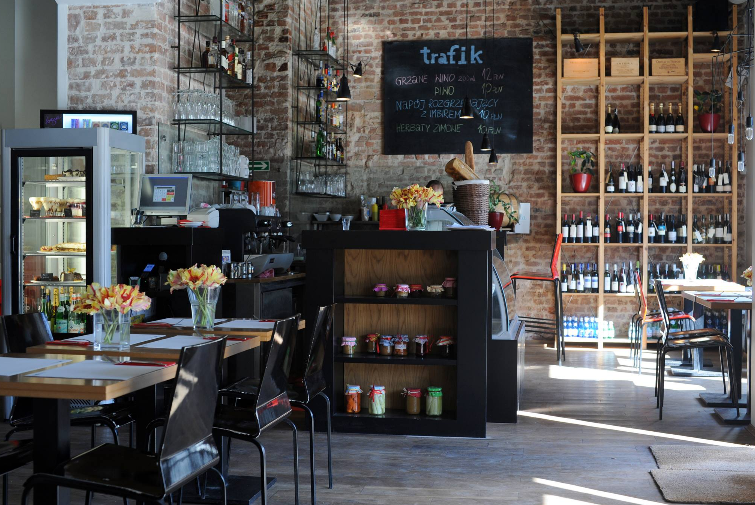 Concerts, after-parties, meetings over wine – our regulars find many pretexts to visit Trafik and enjoy the food and more.